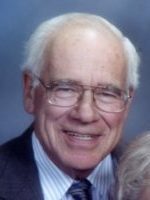 Floyd C. Van Meter Jr.
Floyd passed away Friday, March 23, 2018 at Borgess Medical Center in Kalamazoo. He was born September 25, 1946 in Kalamazoo the son of Floyd Sr. and Gladys (Delbridge) Van Meter. Floyd had worked at Murco Meat Packaging in Plainwell and most recently at Lake Park Industries in Indiana. In his free time he enjoyed riding his bike and moped, working out at the gym and watching WWE. He also loved spending time with his grandchildren and dressing like Santa for work parties and his family on Christmas morning. Surviving are his children, Keith Van Meter of Paw Paw, Carl (Sandi) Van Meter of Decatur, Melinda VanMeter of Portage and Lyndsay (Dan) Dove of Otsego; 3 grandchildren, Dustin Baker, Carl Van Meter Jr. and Ayla Dove along with many siblings. A celebration of Floyd’s life will be Sunday, April 22, 2018 at 1 P.M. at the Otsego V.F.W. Post #3030. Contributions in memory of Floyd may be made to Christian Neighbors. Katherine went to be with the Lord Saturday, March 24, 2018 at Borgess Medical Center in Kalamazoo. She was born February 13, 1931 in Burlington, Iowa, the daughter of Joseph and Rose (Russell) Tray. Katherine had been a hostess and model before attending nursing school. 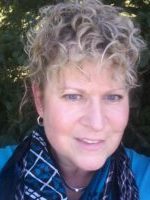 She had worked at William Crispe Hospital in Plainwell and Allegan General Hospital in the dietary department for more than 20 years. Katherine was an avid sports fan and enjoyed watching baseball and her 8 children play sports. She was a member of Peace Lutheran Church in Otsego. On December 27, 1948 in Burlington, she married Richard Hildebrand who passed away in 2000. Surviving are her children, Bill (Mary) Hildebrand of Shelbyville, Tom (Vonnie) Hildebrand of Martin, Debi (David) Seales of Ft. Wayne, Diana (Greg) Schneider of Washington, Terry (Laurie) Hildebrand of Martin, Tim (Carol) Hildebrand of Martin, Ted (Karen) Hildebrand of Shelbyville and Tracey (Heidi) Hildebrand of Martin; 23 grandchildren; 39 great-grandchildren and sister-in-law, Naomi Rintoul. 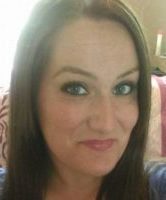 She was preceded in death by her parents, husband; granddaughter, Nicole Hildebrand; brother, Paul and sister, Rosemary. Friends may visit with Katherine’s family from 2-4 P.M. and 6-8 P.M., Tuesday, March 27, 2018 at the Winkel Funeral Home, Otsego and starting at 10:00 A.M., Wednesday, March 28, 2018 until the time of the funeral service at 11:00 A.M., at Peace Lutheran Church of Otsego with Pastor Nathaniel Timmermann and Pastor Rick Scheibe officiating. Private family burial will take place at Fort Custer National Cemetery. Contributions in memory of Katherine may be made to Peace Lutheran Church of Otsego. Kim passed away Wednesday, March 21, 2018 in Kalamazoo. She was born September 23, 1961 in Allegan the daughter of George and Norma (McLaughlin) Shipley. Kim was a 1980 Martin High School graduate. She had worked at Harding’s in Otsego and was looking forward to starting a new job with Greenleaf Hospitality Group at the Radisson. Kim was very creative and enjoyed photography, gardening and baking. She liked volunteering and was always willing to help anyone in need. Kim’s greatest accomplishment was raising her two daughters who she loved very much. Surviving are her husband, Bradley Fall; daughters, Danielle Koperski and Ashley Campbell; grandson, Conner Campbell; mother, Norma; siblings, Cliff Shipley, Tim Shipley and Michele (Matt) Doster and niece, Jaiden Shipley. She was preceded in death by her father and grandmother, Lucille McLaughlin. Friends may visit with Kim’s family from 6-8 P.M., Friday, April 13, 2018 at the Winkel Funeral Home, Otsego. Contributions in memory of Kim may be made to the Alzheimer’s Association. Dolores passed away surrounded by her family, Thursday, March 22, 2018 at Friendship Village in Kalamazoo. She was born December 28, 1931 in Plainwell the daughter of Wendell and Irene (Kelso) Stephenson. 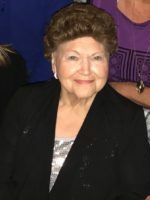 For more than 30 years Dolores was the secretary to the superintendent of Plainwell Community Schools until her retirement in 1996. In her spare time she enjoyed doing crosswords puzzles, reading historic novels, following sports, watching old movies, visiting with her friends, working with the election committees and area blood drives and making her famous potato soup for the Christian Neighbors soup suppers. 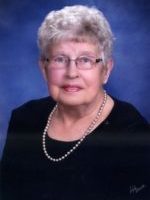 Dolores was an active member of the United Methodist Church of Plainwell. On September 8, 1951 in Plainwell she married Phillip Buffenbarger who passed away in 2005. Surviving are her children, Sue Needham-Wood (Terry Wood) of Kalamazoo, Stephen (Terri) Buffenbarger of Plainwell and Martin (Carolyn) Buffenbarger of Texas; 7 grandchildren, Matthew Needham, Erica Needham-Rausch, Megan (Nick) Salazar, Molly (Nathan Root) Buffenbarger, Bryce (Elyse) Buffenbarger, Kelsey (Drew) Zahn-Melton and Forrest Buffenbarger and 5 great-grandchildren. She was preceded in death by her parents; husband; son-in-law, Stan Needham; brother, Robert Stephenson along with many aunts and cousins. A celebration of Dolores’ life will take place from 2-5 P.M., Sunday, April 15, 2018 at the United Methodist Church of Plainwell in the Fellowship Hall. Contributions in memory of Dolores may be made to Christian Neighbors. 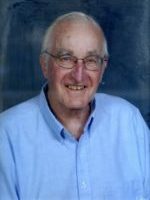 James passed away Wednesday, March 21, 2018 at Life Care Center in Plainwell. 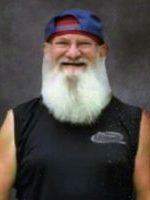 He was born July 21, 1938 in Otsego to Clare and Alice (Kling) Drake. He had worked at Harding’s Market for 19 years before starting Jim Drake and Sons Construction Company. Jim loved nature and enjoyed bird watching, hunting, fishing, walking through the woods, hiking and cooking. He was active with Alcoholics Anonymous and liked attending retreats and being a mentor. He was a 1956 Otsego High School graduate and enjoyed keeping in touch with his classmates and helping to organize class reunions. Jim took pride in sending Christmas cards each year to everyone on his list. On July 15, 1983 he married Carol Rysenga who passed away in October 2017. Surviving are his children, Jim (Tammy) Drake and Mark Drake; step-children, Dawn (Greg) Seiler, Luanne (Bob) Karabensh and Andrew Rysenga; 12 grandchildren; 19 great-grandchildren and siblings, Joan (Les) Gregersen, Judy (Rich) Haugh and Bruce (Terry) Drake. Friends may visit with Jim’s family from 6-8 P.M., Monday, March 26, 2018 at the Winkel Funeral Home, Otsego, where a funeral service will take place at 11:00 A.M., Tuesday, March 27, 2018 with Pastor James Dyke Officiating. Contributions in memory of Jim may be made to the Kalamazoo Nature Center. Samantha passed away Monday, March 19, 2018 in Kalamazoo. She was born November 9, 1987 in Plainwell the daughter of Timothy and Susan (VandeWalle) Walley. As a young girl Samantha enjoyed gymnastics and band. She was a 2005 Otsego High School graduate. Surviving are her parents; daughter, Maya Walley; brother, Keith Walley all of Otsego; half-sister, Brittany (John) Copen of Plainwell; niece and nephew, Dylan and Hayley Copen and many extended family members. Contributions in memory of Samantha may be made to the Gilmore Community Healing Center in Kalamazoo. Hershall passed away Saturday, March 17, 2018 at Kairos Dwelling in Kalamazoo. He was born November 21, 1931 in Lamesa, TX, the son of Dr. John and Minnie Belle (Graham) Bennett. 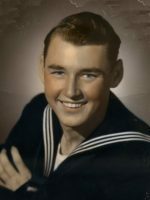 Hershall proudly served his country in the US Navy and Marines during the Korean War. For several years he had worked for the State of Michigan. In his spare time he enjoyed woodworking, bowling, playing cards and performing his famous magic trick. Hershall had been a Boy Scout leader and kindergarten bus aide. He was a member of the American Legion in Bristol, IN and the Otsego VFW Post #3030. In 1964 in Anaheim, CA he married Linda Taylor who survives. Also surviving are his children, Christina (Kraig) Thompson of Kalamazoo, Patricia (Gale) Dugan of Otsego, James Bennett of Howell and Jefrey (Michelle) Bennett of Portage; 11 grandchildren and 1 great-grandchild. He was preceded in death by his parents, 2 brothers and his in-laws. 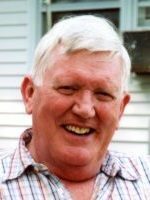 Friends may visit with Hershall’s family starting at 10:00 A.M., Wednesday, March 21, 2018 at the Winkel Funeral Home, Otsego, until the time of the funeral service at 11:00 A.M., with Pastor Joe Shaler officiating. Private family burial will take place at Poplar Hill Cemetery in Monterey Township. 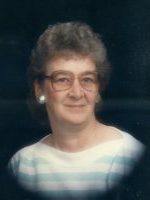 In lieu of flowers contributions in memory of Hershall may be made to Kairos Dwelling or Otsego VFW Post #3030. Leah went to meet the Lord on Thursday, March 15, 2018 at the Wings Home in Allegan. She was born July 23, 1935 in Allegan the daughter of Leon and Ivy (Pryor) Counterman. As a young woman she had worked at several area businesses, Allegan Dairy, the Coating Mill, JC Penney, and the Grange Store to name a few. In her spare time she enjoyed doing crossword puzzles, reading romance novels, watching westerns, going to the casino and playing bingo. Surviving are her children, Tony Janke, Treese Edson, Tim (Gina) Janke and Tammy Janke; 5 grandchildren, Loralea, Matthew, Chad, Danny and Joe; 4 great-grandchildren and siblings, Arthur (Nancy) Counterman and Lois (Leonard) Bush. She was preceded in death by her parents and sisters, Earline, Betty, Margaret and Ann. A memorial celebration will be held Tuesday, March 27, 2018 from 2-5 P.M., at the Otsego VFW Post #3030 with Pastor David Reed officiating. Burial of ashes will take place at Mallory Cemetery, Trowbridge Township. Contributions in memory of Leah may be made to the American Breast Cancer Foundation or to the Wings Home of Allegan.